Garage Cleanout in Austin of a sectional couch a sofa a desk and 2 chairs. We make it our priority to find new and innovative ways to best serve our customers, minimize environmental impact and make our planet better. We are passionate about what we do because we are passionate about you – our customer. Every day, we strive to make your world and our planet better. This job was 1/27/19 where we where called to do a junk removal cleanout of unwanted clutter so the home owner could move on and get new stuff. Most of this stuff was in the home but some was in the garage. Junk Service People came out gave a price quote then after approved at $165 we where able to do it 20% cheaper then 1800got junk and junk kings proving that we are the true junk removal kings. 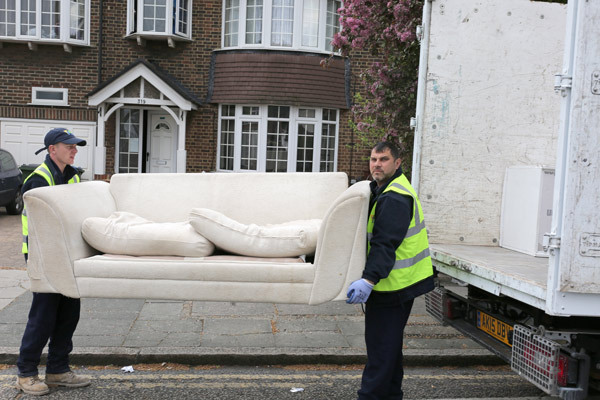 Are you looking for junk removal services book an appointment for a free price quote now. We make it easy for you to get all your unwanted stuff cleanout removed and disposed of at the best rates around.